I’m excited to team up with 100+ other bloggers to bring you the ULTIMATE roundup of Red, White and Blue inspiration! 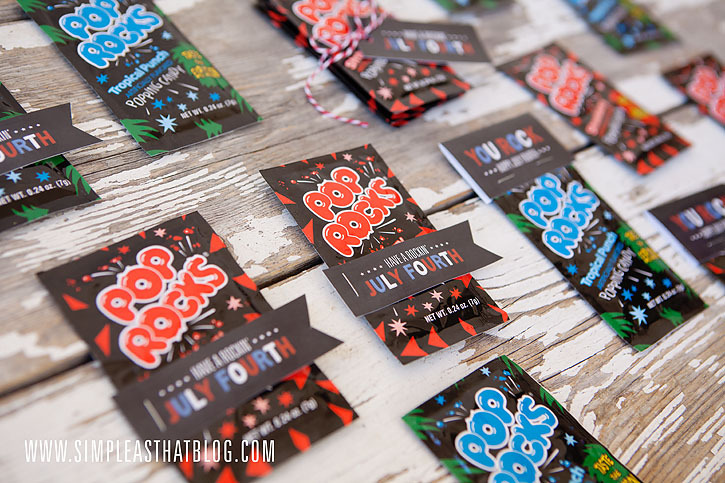 Today I’m sharing this patriotic spin on my popular Pop Rocks gift tags. Be sure to keep on scrolling down for even more July Fourth fun! Looking for the perfect (simple) party favors for the fourth of July? Look no further! 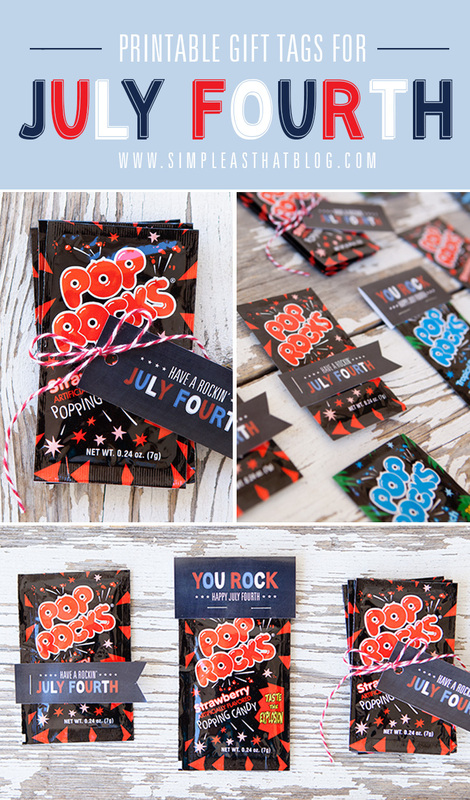 These printable red, white and blue gift tags attached to a package of Pop Rocks are so quick and easy and kids will love them! 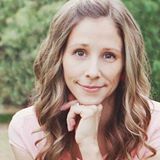 My kids love sharing these with their friends and I love how simple and budget-friendly these little treats! 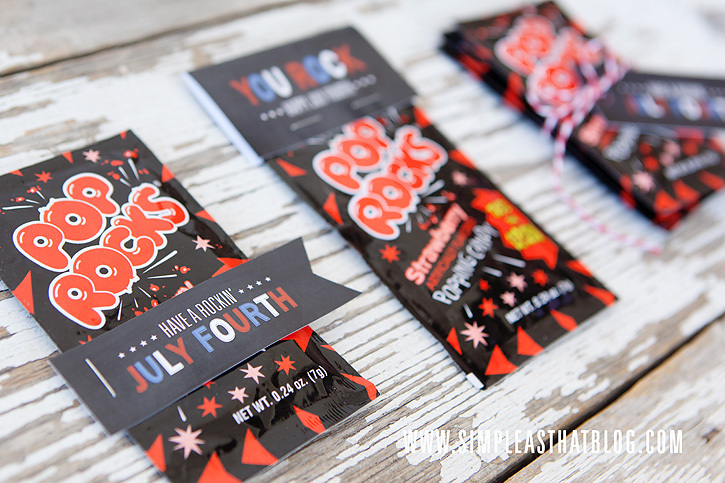 Download these FREE printable tags, attach them to the Pop Rocks with a stapler or bakers twine and you’re done! There are three different tag designs to choose from. I printed my tags as 4×6 photos at Costco but they can easily be printed at home on white cardstock. Enjoy these printable tags and ALL the other fabulous red, white and blue ideas shared by my fellow bloggers! Click here to download Tag 1 4×6 and 8.5X11 versions. Click here to download Tag 2 4×6 and 8.5X11 versions. Click here to download Tag 3 4×6 and 8.5X11 versions. So cute, as always! We need to all get together soon! I am happy to purchase 🙂 Thank you! Such a CUTE idea!! I love this, Rebecca!